A freshly bloomed garden is a stunning choice for a spring ceremony. With yellow peonies and soft yellow roses, this yellow citrine ring will instantly add glamour to your one of a kind wedding. Apples of Gold has designed a piece of jewelry your wedding party will love. The oval cut yellow citrine gemstone paired with 14K white gold creates a union as special as your love. 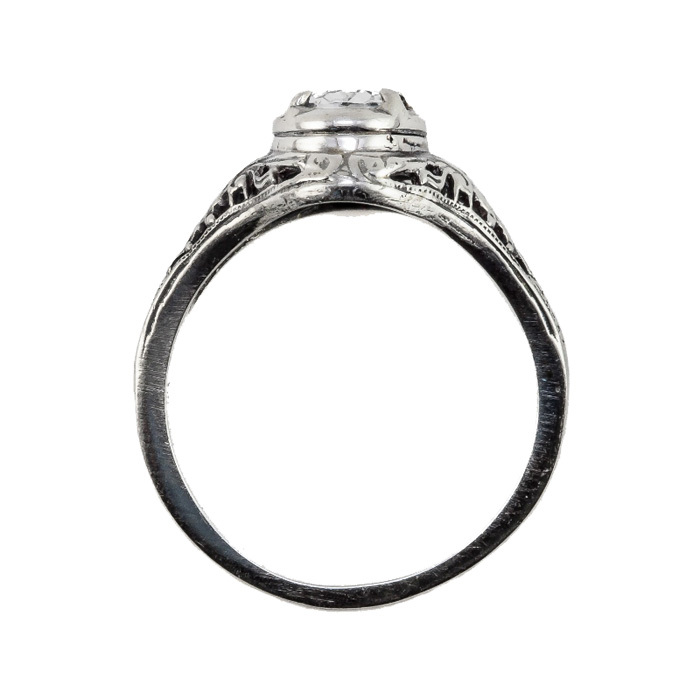 This ring measures 7mm x 5mm. 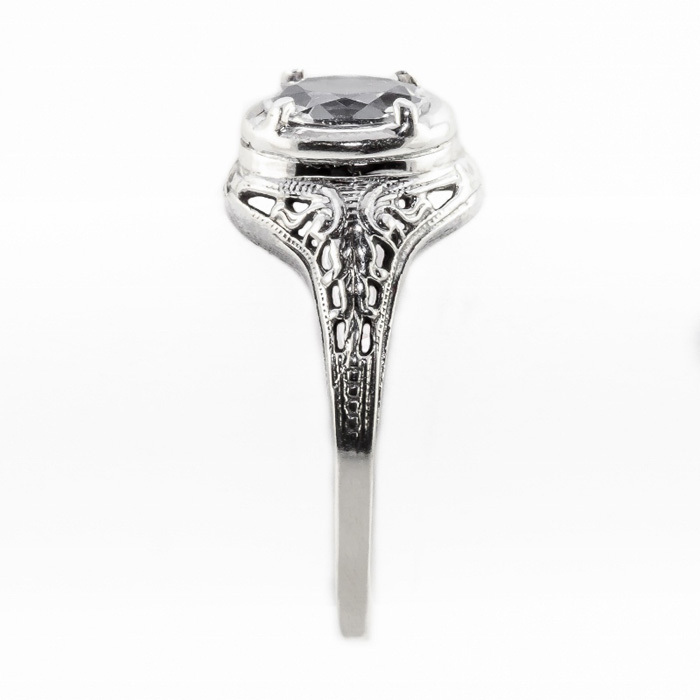 With an art nouveau style, each of your bridesmaid will feel like a special woman while wearing this ring. If you want to be really unique, give this yellow citrine ring set in 14K white gold to those loving women in your life the day you ask them to stand next to you in your wedding. 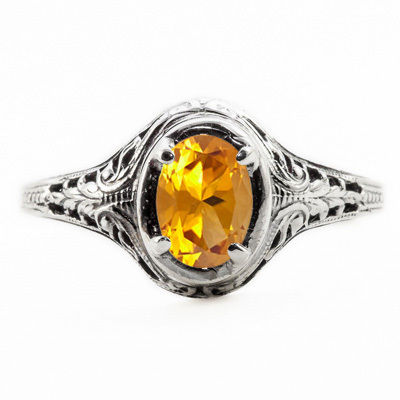 We guarantee our Oval Cut Citrine Art Nouveau Style 14K White Gold Ring to be high quality, authentic jewelry, as described above.